We Are Proud To Be Open And Welcome Hotel Guests Again. 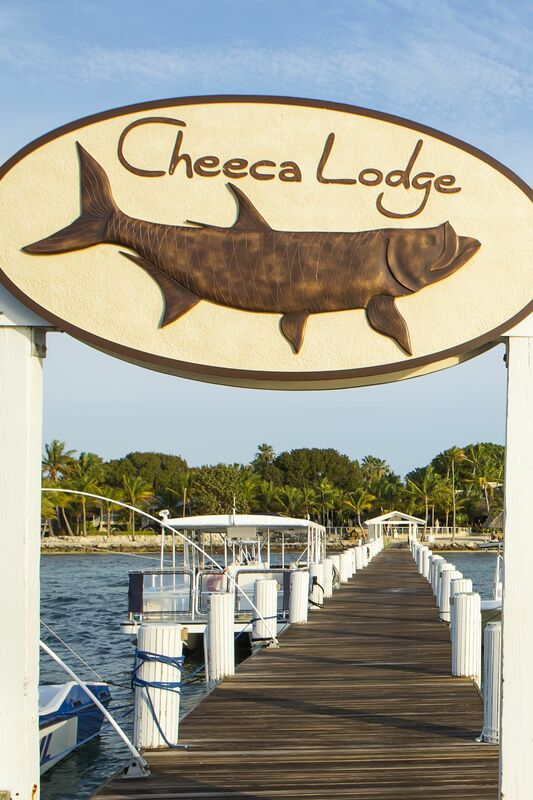 Escape to Cheeca Lodge & Spa and discover a gem among Florida Keys resorts where the sea is crystal clear, the spa is serene, and the accommodations are elegant. 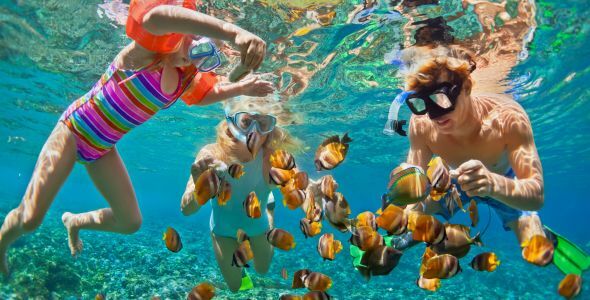 Relax on our 1,200 feet of palm-fringed Florida Keys beach, embark on a snorkeling, scuba or sport fishing adventure, delight in refreshing spa treatments and savor fine dining at one of three restaurants. 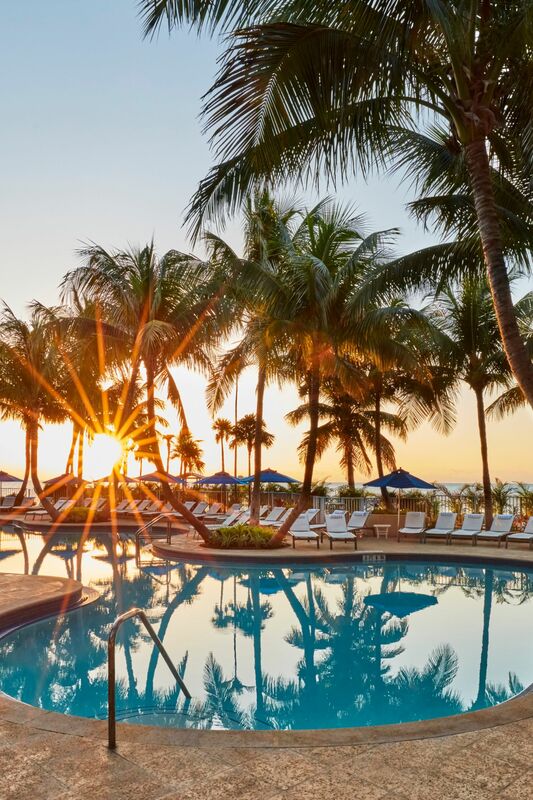 Our luxury beach resort in the Florida Keys provides an ideal destination amid Islamorada’s overwhelming natural beauty. 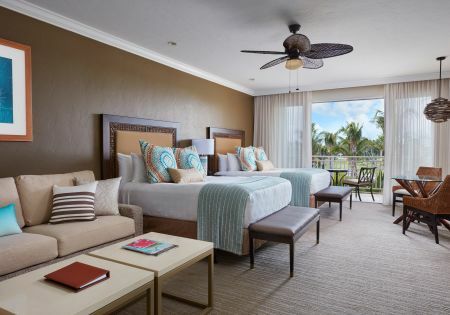 This spacious room boasts classic West Indies style décor and private screened balcony offering fabulous views of the Jack Nicklaus designed 9-hole golf course. Spread out and relax among 681 sq. 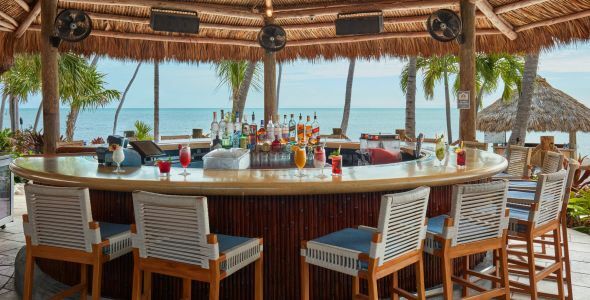 ft. of paradise in the Florida Keys. 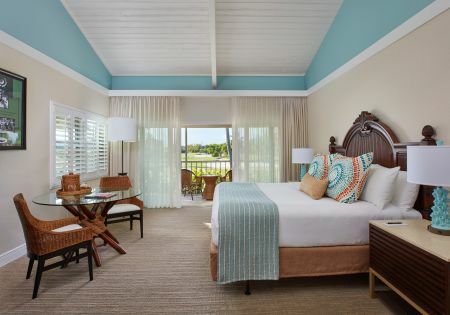 Discover your own personal oasis in our Golf Course One Bedroom Suite at Cheeca Lodge and Spa. Be greeted by 361 sq. ft. of space adorned with two plush Queen beds, spacious screened in balcony and a deep soaking tub and separate glass shower stall. 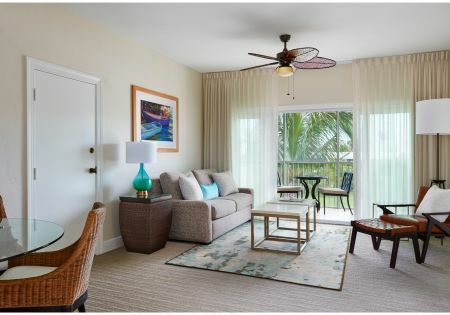 In addition to an inviting aesthetic this suite offers a spate living room with Queen pull out sofa, screened balcony with seating for two, full kitchen and much more. 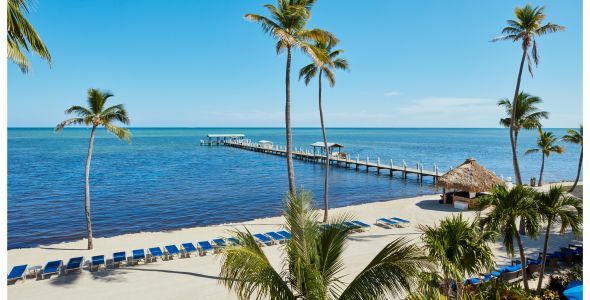 This adult only area room boasts 415 square feet of living space, a vaulted wood beam ceiling, classic Florida Keys décor, and a private screened balcony offering views of the beautifully landscaped grounds. 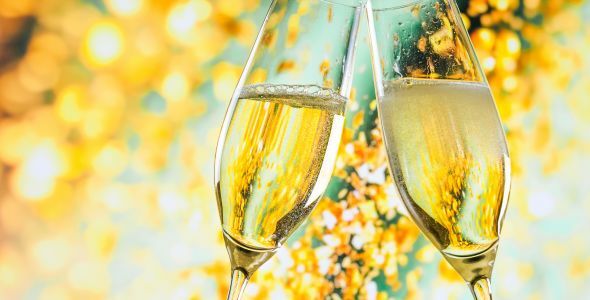 Enjoy 840 sq. ft. of space with two plush Queen beds, a spacious living area with sleeper sofa, large open-air balcony with private soaking tub, conveniently located in our Main Lodge building. 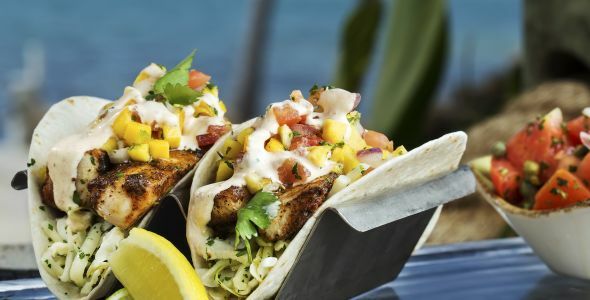 Enjoy 840 sq. 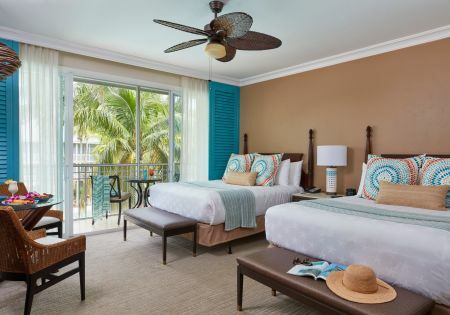 ft. of space, floor-to-ceiling glass doors, posh interiors and a large open air balcony with private soaking tub and island views, conveniently nestled in our Main Lodge. Indulge in 361 sq. 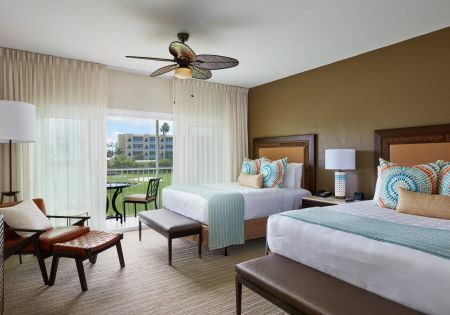 feet of luxury where you’ll be welcomed with two plush queen beds, a spacious screened in balcony with seating for two and easy access to Spa Island and the adults only pool area. Enjoy use of a private balcony, marble bathroom with oversized soaking tub and rain shower, breakfast bar and fully equipped kitchen. Indulge in a relaxing retreat to the master bedroom with a plush pillow-top King bed or the separate living area with sleeper sofa. 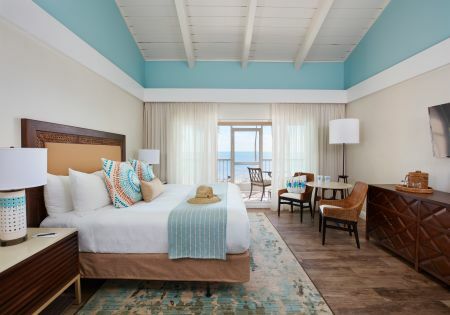 Escape to the height of luxury and enjoy gracious stays in our Lodge Oceanfront Double Queen Suite. 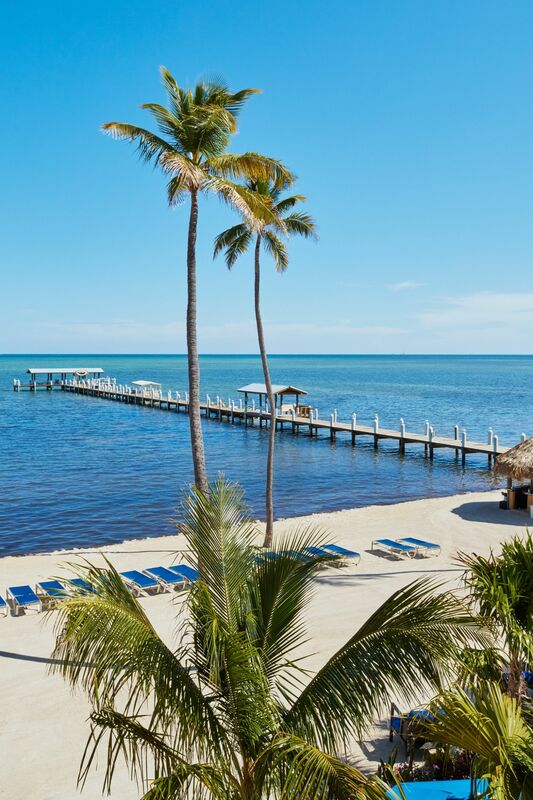 Marked by pristine views of the azure waters of Islamorada, the spirit of the Florida Keys comes alive. 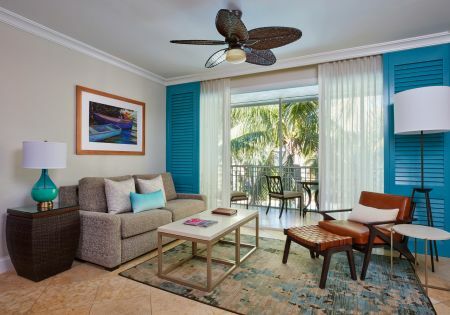 An oasis awaits at our Lodge Oceanfront King Suite where you’ll be greeted by 840 sq. ft. of living space. 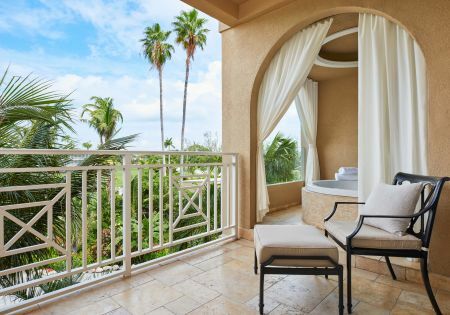 Indulge in panoramic views from a private balcony with seating area and open-air spa tub. 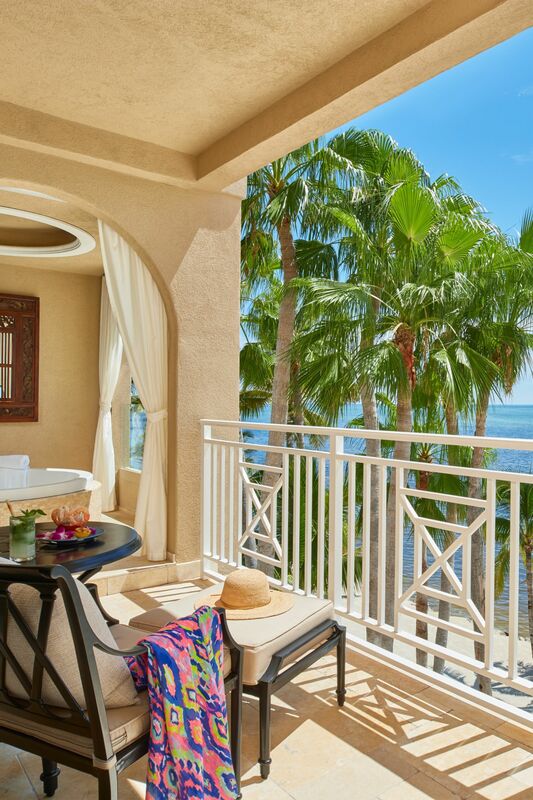 Indulge in stunning ocean views from your private balcony or slip back into your 361 sq. 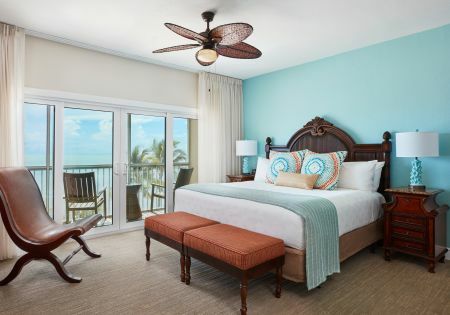 ft. guestroom to lounge out across a plush, pillow-top King bed adorned with fine linens before discovering the best that the Florida Keys can offer. 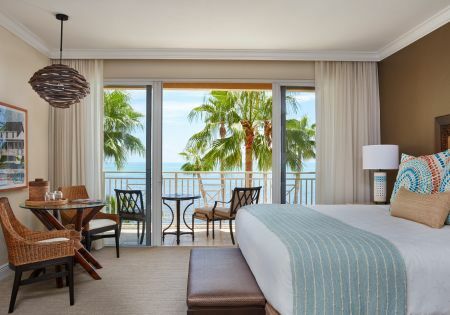 Enjoy the ocean within easy reach with a comfortable, convenient and indulgent stay in our Oceanfront One Bedroom Suite. 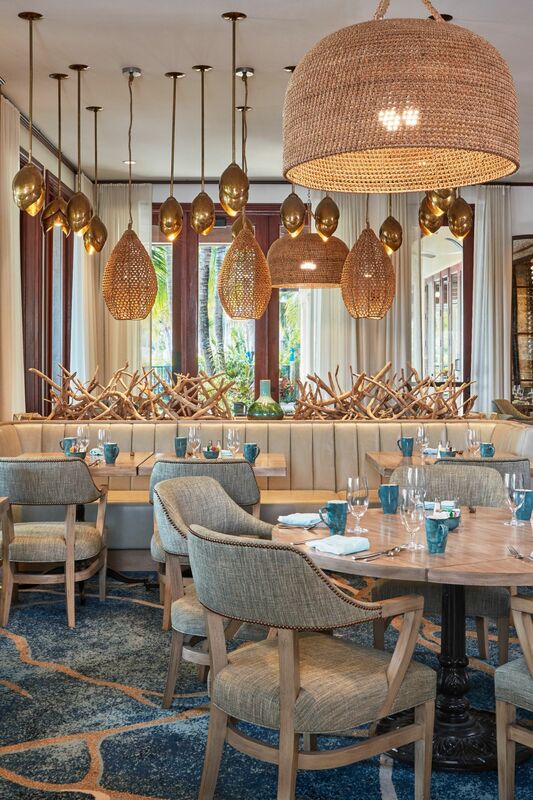 Marked by rich hues and inviting décor you’ll discover modern sophistication and a relaxed ambiance you’re unlikely to find elsewhere. 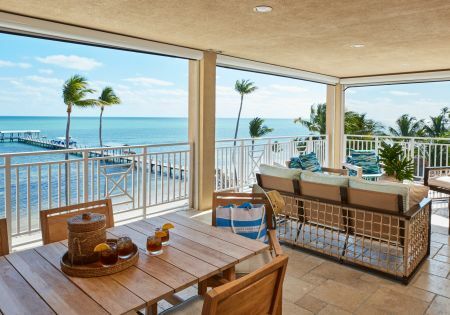 This oceanfront adult only area room boasts 415 square feet of living space, classic Florida Keys décor, and a private screened balcony offering views spectacular views of the Atlantic. 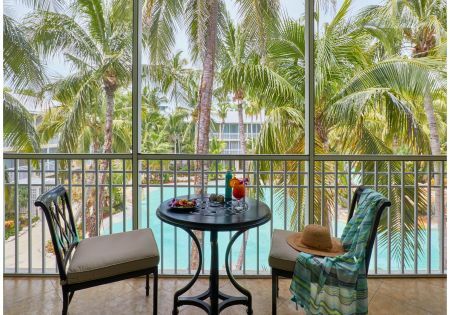 Enjoy a oceanfront oasis that stretches over 1,400 sq. 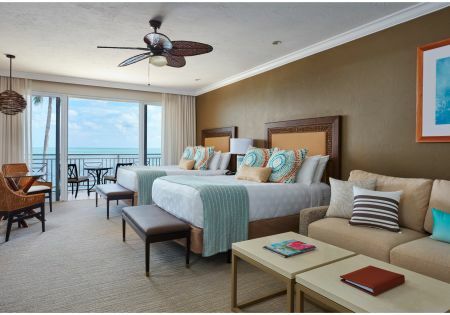 ft. offering large living and sleeping spaces in addition to spectacular views of the Atlantic Ocean and Florida Bay. 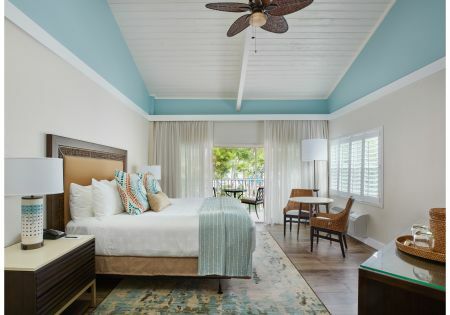 This spacious dog friendly room boasts classic West Indies style décor and private screened balcony offering fabulous views of the Jack Nicklaus designed 9-hole golf course. 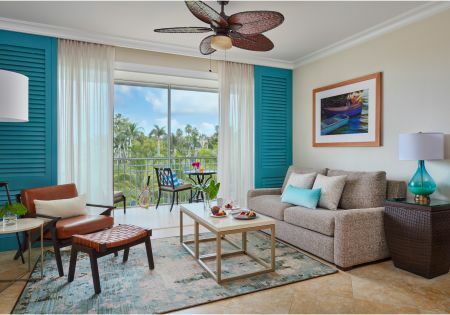 This spacious dog friendly one bedroom suite boasts classic West Indies style décor and private screened balcony offering fabulous views of the Jack Nicklaus designed 9-hole golf course.